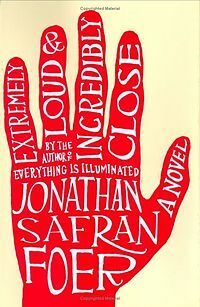 I enjoyed Kate’s post at Books are my Favourite and Best for this month’s #6Degrees but I thought I was defeated by it because I haven’t read/have no plans to read Extremely Loud and Incredibly Close by Jonathan Safran Foer. And then I saw how cleverly author Jenny Ackland had interpreted it, although she hadn’t read the book either. So, shamelessly copying her focus on the cover, (but with no idea why it has an image of a hand) I thought about other books involving ‘hands’…. I considered The Hand of Fatima, by Ildefonso Falcones and The Sound of One Hand Clapping by Richard Flanagan (which I loved but haven’t reviewed on this blog, but settled on The Hands by Stephen Orr because I like this author’s interest in redefining masculinity. 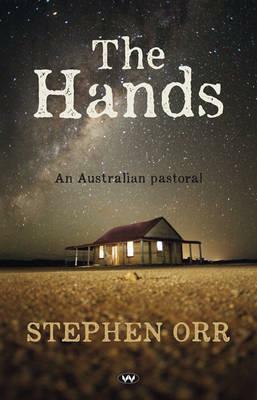 The Hands shows us manhood over three generations, as they cope with massive changes in rural life. The book was nominated for the Miles Franklin Award so I was not alone in thinking it was a terrific story. Another book that explored changing ideas about masculinity in the bush is Roger McDonald’s When Colts Ran. It covers a longer period of time as it deconstructs the mythic places where Australian men have formerly so forcefully defined their identity – the battlefield and the outback. 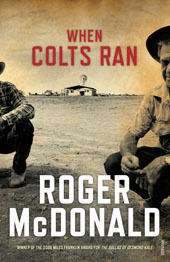 Colts, BTW is a character’s name, and nothing to do with horses… This is the book that made me a major fan of Roger McDonald so you can understand how rapt I was when the 2015 Bendigo Writers’ Festival asked me to do a session in conversation with him. I’ve read nearly all his books now but there are still a couple left on my TBR and hopefully he is hard at work on another one or two as well! I did two sessions at the BWF and that was how I met the Indonesian author Lily Yulianti Farid. Short stories as you know are not my thing, but I liked her forceful and frank critiques of Indonesia’s patriarchal society and we had a good time talking about her collection The Family Room. Lily has worked as a journalist all over the world and she speaks English fluently but her stories were translated for publication by John H. McGlynn, who is a tireless translator of Indonesian literature and the brains behind The Lontar Foundation which aims to raise the profile of Indonesian writing. 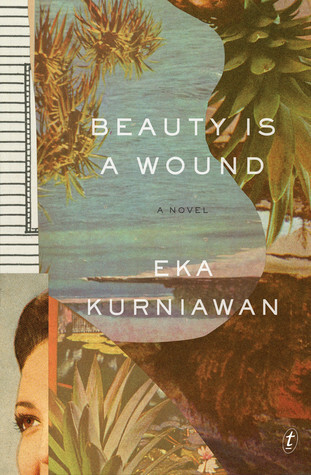 It seems to me that one of the best ways for Australians to get to know our neighbour better is to read their books, so I was very pleased to see that one of our local Melbourne publishers, Text has published one of their young authors, Eka Kurniawan’s Beauty is a Wound translated by Annie Tucker.This big, baggy novel has everything, from ghosts and reincarnations to vengeful spirits, but it also features a very strong woman utterly different to the stereotypical demure women so often portrayed as representatives of Indonesia. 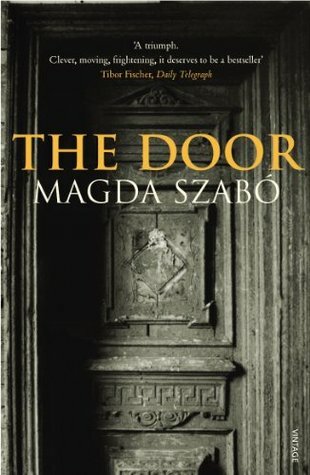 Another strong woman from my recent reading is the character of Emerence in Magda Szabo’s The Door translated by Len Rix. This cleaner terrorises her employer as they develop a sort of symbiotic relationship of mutual dependence. This is a book that often crops up during Women in Translation Month (#WITMonth) because of its powerful characterisation and the intensity of the reading experience. It’s not one that readers will easily forget! 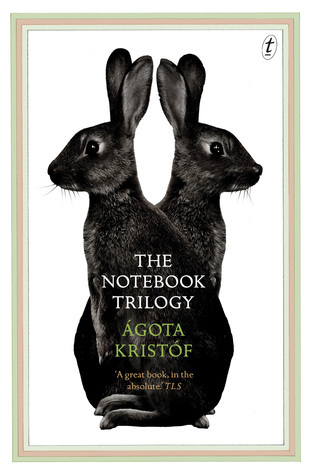 And the same could be said of The Notebook (The NotebookTrilogy by Ágota Kristóf, translated by Alan Sheridan (and also published by Text) That has to be one of the most intense and creepy books I’ve read in a long time. The way Kristof manages to subvert reader expectations is absolutely brilliant, but don’t, please don’t, read any reviews of Books 2 and 3 before you read Book 1 or you will spoil it for yourself! So there you are… I’ve managed to complete #6Degrees even though once again I haven’t read the starter book! This was cleverly done. I must admit I groaned when I saw the starter title because I’ve never heard of it let alone read. I’m still challenging the brain to come up with any connections. But isn’t it interesting that such a high-profile book has passed us by! Of all the memes around this is the only one that really interests me because of the way it challenges us to think about our reading from different angles. Yes, and they’re fun, aren’t they!